While doing TDD I’ve often found that I needed to make sure that an object is subscribing to and unsubscribing from notifications at the right time. NSNotificationCenter has no publicly accessible observer index, so testing this is not as simple as checking if an object belongs to a collection. As the proverb goes “There are more ways than one to skin a cat”. The same applies to testing a piece of code. A classic approach for testing notification observing is one where a test subclass of an object is created, the expected method is overridden which sets a public flag when called, and finally in the test a notification is fired and the flag is checked. Not good, too many steps, too much additional code that also needs to be maintained. Another approach would be to mock the notification center, which requires replacing the default notification center either by using DI or swizlling out the implementation of defaultCenter to return the mock. Not as bad, but still it requirers premeditation which is not always possible if different people are writing code and tests. Using this approach with existing code would require refactoring and also mock objects could possibly break more complex tests. If that is all you need to know you can grab to code over on Github. If you would like to know how this approach works continue reading. The idea is that we inject code before all add and remove calls to the default NSNotificationCenter. That code will store all notification and selector names in a dictionary that is associated with the observer, and remove them from the dictionary when the observer is removed. This way the assertion really is as simple as checking if an object is part of a collection. Next, we are going to replace the “addObserver:selector:name:object:” with our own implementation. But first we need a variable to keep track of the original implementation, since we’re going to need it later. Our implementation of the addObserver method will fetch the associated dictionary from the observer or create it if it doesn’t exist and associate it with the object, and store the selector name as the value with the notification name as the key. On the last line we call the original implementation of addObserver so we don’t break anything and the notification center works as intended. The long spaghetti cast before _original_add_implementation is needed so that ARC understands what it is supposed to do. In the teardown we return the original implementation because we are good citizens and otherwise the test will get stuck in an infinite loop and crash. Why a macro and not a function? With a function each failing test would fail in the base class and you would have a hard time tracking where the failure occurred. With a macro the test fails inline and you can jump straight to it. Also, Apple does it the same way. This completes the addition part of the solution, the same principle applies to removal with removeObserver:name:object: and removeObserver:. You can check out the complete implementation on Github. Have any ideas, suggestions or questions? Hit the comments section bellow or contact me @nlajic on Twitter. Part of the codecentric Novi Sad team since 2013, working with mobile apps since 2009. 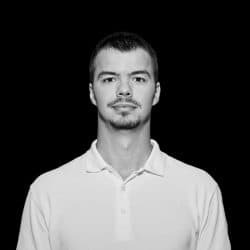 Nikola has worked on all sorts of mobile projects, from quizzes to enterprise applications. He is interested not only in developing apps but also in how users experience them. Very interesting , tried the code and it works. I have updated the code on GitHub. Adding it to the project is a bit more complicated, so check out the readme. Let me know if you run in to any problems. That happens when the “Objective-C Bridging Header” path is not set correctly. Set the path in the test target build settings. Make sure that it is only set for the test target and not also for the app target or the whole project because it will cause other issues. Please check the Example-Swift project on the GitHub repo and compare. Try to add it to a small sample project to see if you’ve missed something. The only way I was able to reproduce this error is if the bridging file is not importing the needed header or if the bridging file path is wrong. Saw you made a swift extension as a subclass of NLTests which is confusing, in swift extensions should extend XCTest in this case, that would be cleaner if you see what i mean. I’m glad you figured it out. The extension is just a quick fix to get it working with swift, if I made a fully swift solution then the extension might be on XCTest.